Bill Johnson blatantly lies to Christianity Today. 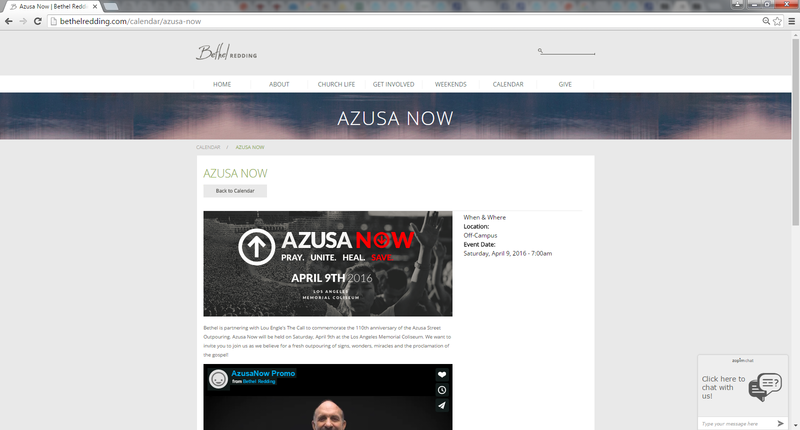 Home › Bethel "Church" › Bill Johnson blatantly lies to Christianity Today. This article exposes how Bill Johnson misleads (which is a form of lying) Christianity Today in regards to both he and his ministry being a part of the dangerous New Apostolic Reformation cult. The New Apostolic Reformation cult teaches that the church MUST be governed by modern day Apostles and Propehts. Source: David Cartledge, The Apostolic Revolution, Australia: McPherson’s Printing Group, Published 2000. pg. 393. Source: David Cartledge, The Apostolic Revolution, Australia: McPherson’s Printing Group, Published 2000. pg. 394. Now let’s look at Bill Johnson’s claim that his “church does not have any official ties to the NAR”. Back in 2008, Peter Wagner was writing in CharismaToday, after Todd Bentley of the Lakeland “Revival” was exposed for committing adultery and alcoholism. The reason why Wagner wrote this article was because he was operating out of damage control over his Apostolic Alignment and ordination of Todd Bentley. Not long after the ordination, Todd Bentley was publicly humiliated with Wagner and all of the gathered Apostles. Wagner’s ICA (International Coalition of Apostles) and his other Apostolic buddies were exposed as false Apostles. Regardless, I knew that alignment needed to come first. Chuck Pierce, with whom I am closely aligned prophetically, wholeheartedly agreed. I did my due diligence and discovered that Ché Ahn was the ICA member who had the closest contact with Todd, and that Todd was willing to accept this alignment. Ché felt that he should bring in Bill Johnson and John Arnott since all three of them were close to Todd and they lead the newly-formed Revival Alliance. Unbelievably, all four of us had one date in common open all summer, Monday, June 23, so we decided that we would propose it to Todd. He enthusiastically agreed and invited us to come. Do you still believe Bill Johnson’s claims that he is not a NARpostle? Do you still believe that “Bethel church does not have any official ties to the NAR”? According to Wagner, Johnson is part of the NAR Revival Alliance; has official relations with Wagner’s NAR ICA and was bringing Todd Bentley’s NAR ministry into alignment under NAR governance. If you are still not convinced Bethel is a New Apostolic Cult, just examine Johnson’s words, concepts and scripture usage. They are the classical cult-talk of the NAR (as the Christianity Today article pointed out). Chris Rosebrough has also reviewed a sermon by Bill Johnson, calling him out for peddling NAR theology. In this sermon review, Bill Johnson is alluding to the heretical “New Breed” doctrine when he says God is “looking for a generation he can entrust the world to” (1:10:11). Not only does he peddle this throughout the sermon, he uses the classic NAR “On earth as it is in heaven” mantra and preaches the false NAR gospel. Johnson even called it what the NAR call it: ‘Gospel of the Kingdom’. 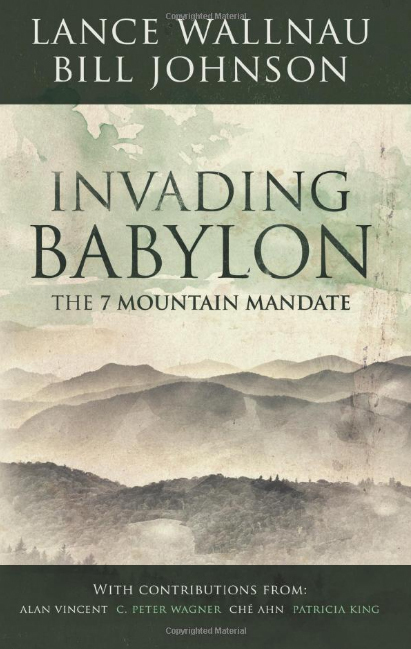 Johnson also believes and teaches the NAR false commission: the Seven Mountain Mandate (aka the Cultural Mandate or Seven Pillars of Society) and has written about it with other prominent NAR Apostles and Prophets. Difficult to remove people from the lies of NAR teachings. Many are spiritually hardened. There are splinter groups forming around Johnsons teachings. Such as the ICovenenat Church in Coldwater and Burr Oaks , Michigan. Just a heads up! Great. Thats all we need is more bill johnson clones…. The website I listed below is one that is mentioned in the post above. I had to do some searching, but found a 3 part series on Bill Johnson and Bethel Church written by Jamie Smith in 2013. This is the best research I’ve read to date on the history and heresy of Bill Johnson. I will be passing this on to my family members who are big fans of Bethel. If this doesn’t open their eyes, then I’m afraid there is no hope for them. this bill johnson is 1 of the hugest liars influencing churches today. why is anyone with any common sense whatsoever listening to his foolishness?